It's that time of year again, where my family try and do our part in helping raise the much-needed funds for my son's school, in the way of the Christmas Fair! 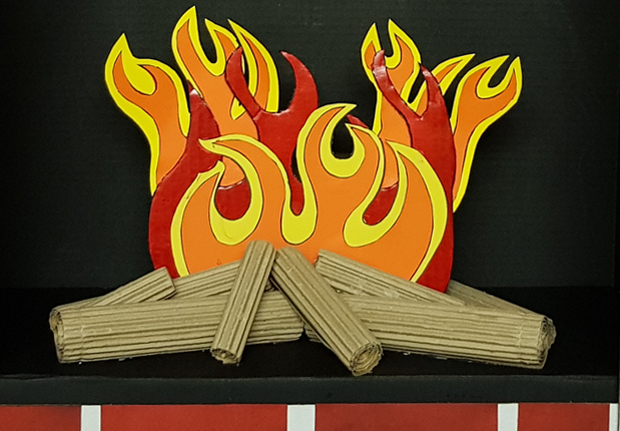 Last year the school purchased a gazebo and we got the brilliant task of creating a fireplace for Santa's new Grotto. Isn't it fabulous! I almost didn't give it up! 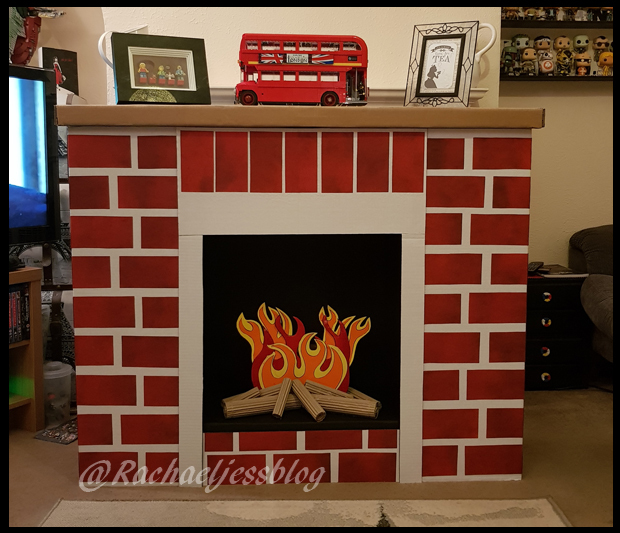 I had a look on Pinterest for some inspiration on how to make the fireplace, and whilst there are several options the one I liked the most was a post from eHow. 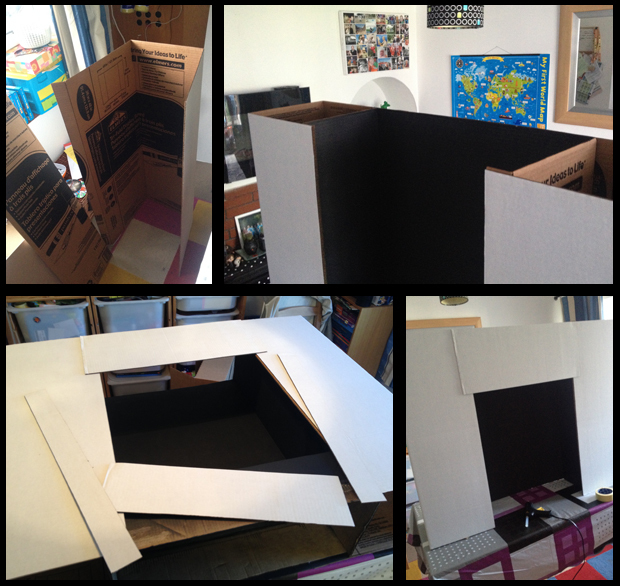 We used 3 white display boards from Hobbycraft and folded the boards around to make the fireplace template. 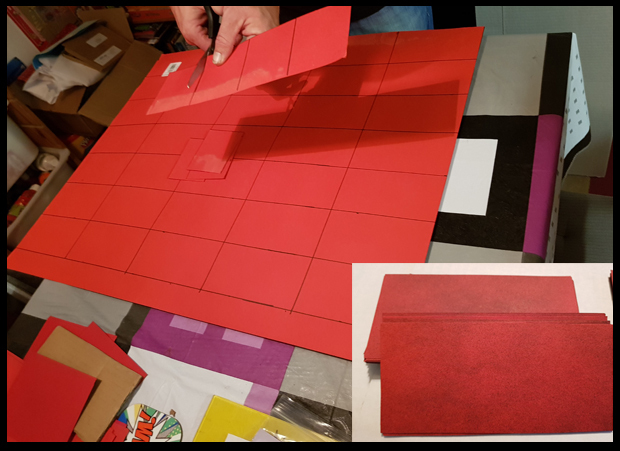 Once the template was created we sprayed the back of the opening black and used the cutoffs to cover the front top and bottom sections, which are then glued in place. As you can see it's taking shape nicely and already looking like a fireplace. There are a few options here to cover the front; paint a brick effect, buy brick wallpaper or use cut up pieces of red card. We opted for the latter and gave the card pieces a light dusting with the black spraypaint to make them look a little more authentic. 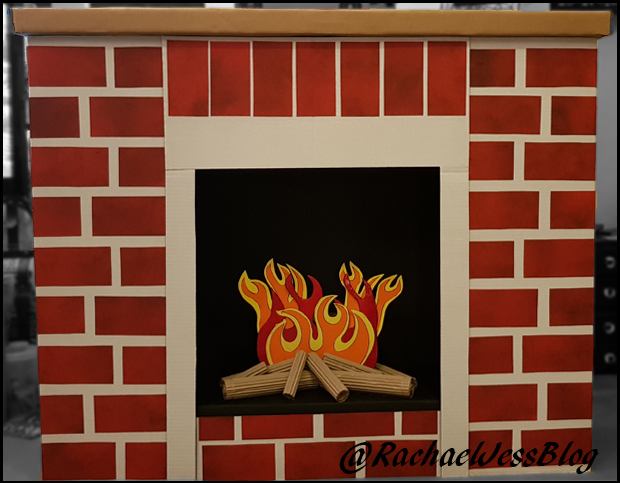 We covered the fireplace with Mod Podge and placed the card on the front and sides of the boards to give a brick effect, which I think we pulled off nicely. 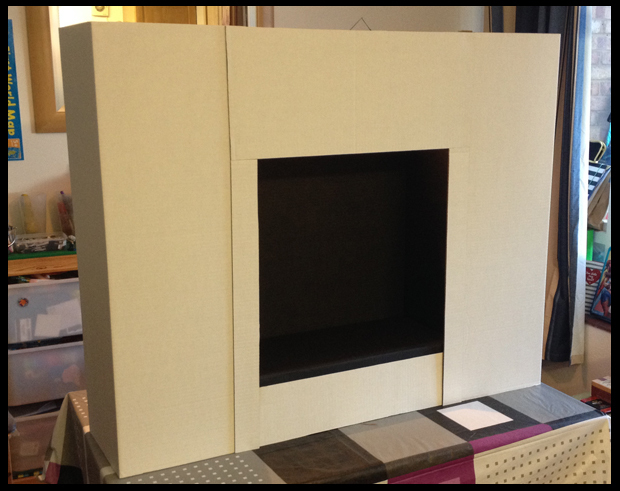 The fireplace shelf is just a cardboard box folded and glued to shape, we didn't even need to paint this, as the board gives a natural wood effect. Using cardboard boxes and coloured card we cut out flame shapes and glued these on to the base of the inside of the fireplace. Finally, using an image on Pinterest for fake logs as inspiration, we stripped open a cardboard box, rolled it up now inside out, and glued it together to give the effect of fake logs, which I think turned out good enough for even Santa. I think it looks rather realistic, don't you?